It’s in the subway, on trains, on bus stops, and on mass media. If you believe the reports, and I do, those sorts of actions have prevented some nasty incidents over the last decade. I got to thinking about that the other day from a bit of a different perspective which of course then led into some business thinking. We all know a person who displays symptoms of things not being right in their lives. Those symptoms could come in the form of substance abuse or a big weight gain. Maybe their personality has changed – gone from light to dark. If you care about that person, you probably think about a way to say something that asks about what’s going on. It’s hard – people have feelings, after all and they are probably just as aware as you are of what they’re doing. Probably more so. The ensuing discussion can be hard for both of you. Sometimes it can derail a friendship. More often, it begins a healing process, but only if you care enough to say something. The same is true in a business. The symptoms are different, obviously. Unhappy team members, a faltering bottom line, processes that are inefficient. Those things won’t fix themselves until someone cares enough to say something. Oddly, the people who are best equipped to do that are often the youngest or newest members of the team. They approach the business with few preconceptions and “new eyes.” The problem is that they tend to hold their tongues believing that it’s their newness or lack of knowledge that makes them see the flaws rather than the familiarity of the day-to-day that’s blinding everyone else. I always demanded that new hires speak up. I reminded them of their special status – everything is new – and that they should ask about anything that didn’t make sense to them. 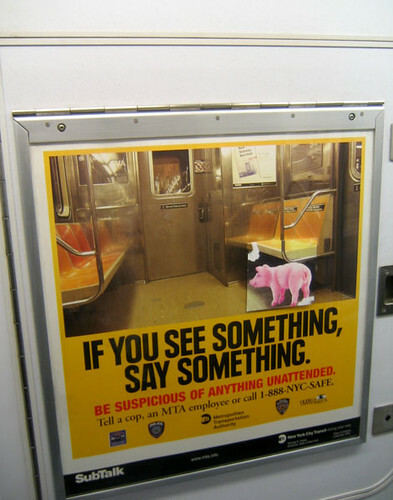 If they saw something, they were to say something. If their supervisor or I didn’t have a good reason for the way things were, we needed to do the hard work of introspection. Hopefully you’d never let a friend in pain stay there alone once you see the symptoms. You can’t let a business remain there either. Say something – everyone will be better off. Agreed?